A study of the history and progress of South Africa is incomplete without taking note of the Apartheid era. This era between 1948 to 1994 was marked with racial segregation, where the white part of the population was given priority over the black skinned one. 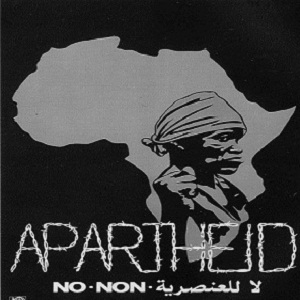 The word ‘Apartheid’ can be defined as ‘the status of being apart’. The irony was that the black population was in majority and still was subjugated to discriminatory treatment by the minority whites. Apartheid rule ended in the 1994 when Nelson Mandela, the Noble prize winner became the president after a long political struggle and ensured that the population was treated equally. To understand the social and economic fabric of today’s South Africa, it is very necessary to know the history of the long standing Apartheid in the country. Although South Africa had a long history with racial segregation and discrimination against the black population, The formal institute of Apartheid was established after the elections of 1948. After these elections, the National Party (NP) came into power. This party believed in racial segregation and passed several laws to make sure that different races did not mingle in the country. Under apartheid, people were allocated residential areas according to their race. whites lived with their own community while Blacks had their own. There were separate transport systems, hospitals and schools. Even benches were segregated. Inter marriage between the two races was prohibited.Black population was forced to carry identity cards which showed their race to prevent any immigration into 'white' areas. There was great discrimination in education and employment. The blacks suffered for more than four decades. Any form of resistance or grouping for protest was severely suppressed. Nevertheless, there were constant uprisings against the system. The African National Congress was one such party who protested through strikes, demonstrations and force in the end. It was led by Nelson Mandela, a black activist who spent nearly two decades of his life in prison. Apartheid was lifted after the general elections of 1994 when ANC came into power and Mandela became the president, ending all discrimination. He is known as the 'father of the nation' and he restored Black equality. Over the years, Mandela has become the face of racial equality and fairness.